This Policy applies as between you, the User of this Web Site and Hove Village Ltd. the owner and provider of this Web Site. This Policy applies to our use of any and all Data collected by us in relation to your use of the Web Site and any Services or Systems therein. “Web Site” means the website that you are currently using (www.hovevillage.com) and any sub-domains of this site (e.g. subdomain.hovevillage.com) unless expressly excluded by their own terms and conditions. Any personal Data you submit will be retained by Hove Village Ltd for as long as you use the Services and Systems provided on the Web Site. Data that you may submit through any communications System that we may provide may be retained for a longer period of up to TWELVE MONTHS. Hove Village Ltd may, from time to time, employ the services of other parties for dealing with matters that may include, but are not limited to, payment handling, delivery of purchased items, search engine facilities, advertising and marketing. The providers of such services do have access to certain personal Data provided by Users of this Web Site. Any Data used by such parties is used only to the extent required by them to perform the services that Hove Village Day Nursery Ltd requests. Any use for other purposes is strictly prohibited. Furthermore, any Data that is processed by third parties must be processed within the terms of this Policy and in accordance with the Data Protection Act 1998. Hove Village Day Nursery Ltd may, from time to time, expand or reduce its business and this may involve the sale of certain divisions or the transfer of control of certain divisions to other parties. Data provided by Users will, where it is relevant to any division so transferred, be transferred along with that division and the new owner or newly controlling party will, under the terms of this Policy, be permitted to use the Data for the purposes for which it was supplied by you. In the event that any Data submitted by Users will be transferred in such a manner, you will be contacted and informed of the changes. Data security is of great importance to Hove Village Ltd and to protect your Data we have put in place suitable physical, electronic and managerial procedures to safeguard and secure Data collected online. Hove Village Day Nursery Ltd may set and access Cookies on your computer. Cookies that may be placed on your computer are detailed in Schedule 1 to this Policy. The Data Processing Act 2003 was introduced primarily to protect everyone’s right to privacy in respect of the processing of computerised and manual personal sensitive data. The Act applied to personal and sensitive data in computerised, manual or any other format so long as the data is in a system that allows the information to be readily accessible. The act covers all aspects of processing data from its collection, holding, access, use and disclosure to its destruction. Hove Village Day Nursery is required to keep and process certain information about its staff and families that attend the setting in accordance with its legal obligations under the new 2018 General Data Protection Regulation (GDPR). Hove Village Day Nursery may, from time to time, be required to share personal information about its staff or families that attend the setting with other organisations, mainly the Local Authority, Health Services, Children’s Services and other third parties such as HMRC. Collected for specified, explicit and legitimate purposes and not further processed in a manner that is incompatible with those purposes; further processing for archiving purposes in the public interest, scientific or historical research purposes or statistical purposes shall not be considered incompatible with the initial purposes. Kept in a form which permits identification of data subjects for no longer than is necessary for the purposes for which the personal data are processed; personal data may be stored for longer period, subject to implementation of the appropriate technical and organisational measures required by the GDPR in order to safeguard the rights and freedoms of individuals. Hove Village Day Nursery understands that recording images of identifiable individuals constitutes processing personal information, so it is done in line with data protection principles. Cameras are only placed where they do not intrude on anyone’s privacy and are necessary to fulfil their purpose. All CCTV footage will be kept for no less than 10 days for security purposes and are kept secure but still allowing access. If the Nursery wishes to use images/video footage of children in a publication, written consent will be sought from the parent(s). All data provided by the DBS will be handled in line with data protection legislation; this includes electronic communication. Data provided by the DBS will never be duplicated. Any third parties who access DBS information will be made aware of the data protection legislation, as well as their responsibilities as a data handler. Digital data both on a local hard drive and on the Nursery’s server is password protected. The network drive is backed up daily off-site. Access to the Nursery’s management system, Connect Childcare, is password protected and access to sensitive and confidential data on Connect Childcare is restricted to only those members of staff who require the information to perform their duties effectively. All electronic devices are password protected to protect the information on the device in case of theft. Electronic devices are kept securely when not in use, e.g. in a locked cabinet. Devices holding photographs will be regularly wiped to delete all images. Memory cards will be kept in a locked cabinet when not in use and will be wiped regularly. Staff will not use their personal laptops or computers. Staff must not use personal email addresses for sharing or viewing any Nursery data. Emails containing sensitive or confidential information are password protected if there are unsecure servers between the sender and the recipient. 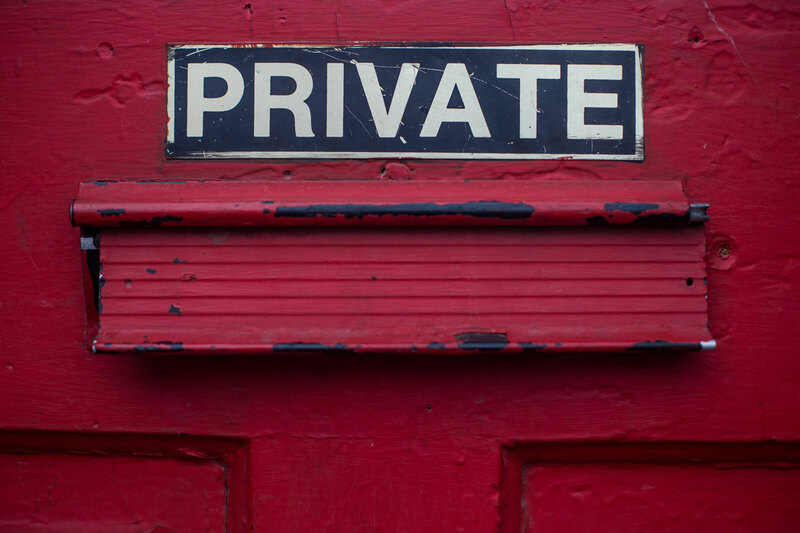 Where personal information that could be considered private or confidential is taken off the premises, either in electronic or paper format, staff will take extra care to follow the same procedures for security, e.g. keeping devices or paperwork under lock and key. Before sharing data, all staff members will ensure they are allowed to share it and that adequate security is in place to protect it. They must ensure that persons or organisations who will receive the data have been outlined in a Privacy Notice and that they have confirmed in writing that they comply with the GDPR and any other relevant data protection legislation. Under no circumstances are volunteers, visitors or unauthorised third parties allowed access to confidential or personal information. Those visiting areas of the Nursery containing sensitive information are supervised at all times. Where a child is under the age of 16, or younger if the law provides it (up to the age of 13), the consent of parents will be sought prior to the processing of their data, except where the processing is related to preventative or counselling services offered directly to a child. Hove Village Day Nursery will verify the identity of the person making the request before any information is supplied. A copy of the information will be supplied to the individual free of charge; however, Hove Village Day Nursery may impose a ‘reasonable fee’ to comply with requests for further copies of the same information. Where a request is manifestly unfounded, excessive or repetitive, a reasonable fee will be charged. All requests will be responded to without delay and, at the latest, within one month of receipt. Where a request is excessive, Hove Village Day Nursery holds the right to refuse to respond to the request. The individual will be informed of this decision and the reasoning behind it. When the individual withdraws their consent. The personal data is required to be erased in order to comply with a legal obligation. The exercise or defence of legal claims. As a child may not fully understand the risks involved in the processing of data when consent is obtained, special attention will be given to existing situations where a child has given consent to processing and they later request erasure of data, regardless of age at the time of the request. The term ‘personal data breach’ refers to a breach of security which has led to the destruction, loss, alteration, unauthorised disclosure of, or access to, personal data. Staff must report any data breach or potential breach as soon as possible to a member of the Senior Management Team. All notifiable breaches will be reported to the relevant supervisory authority within 72 hours of the nursery becoming aware of it. If the risk of the breach could have a detrimental effect on the individual, the need to notify the relevant supervisory authority, will be assessed on a case-by-case basis. In the event that a breach is sufficiently serious, the public will be notified without undue delay. Hove Village Day Nursery takes its duties under the GDPR extremely seriously and any unauthorised disclosure may result in disciplinary action.